For school counselor George Blake, life’s lessons are simple: Keep yourself out of harm’s way. Call your parents when you’re running late. Treat others as you would be treated. Say what you really mean. Honor your best self. 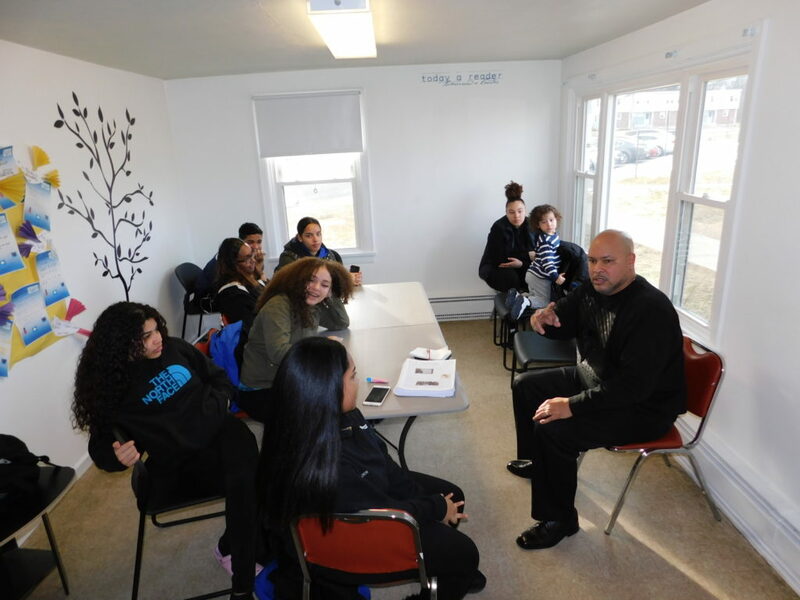 Those were among the lessons he imparted recently to Springfield Housing Authority’s Robinson Gardens Youth Group, where he addressed a packed room of teens who listened intently – and weren’t afraid to ask questions or make comments. George ‘Spanky’ Blake speaks with members of the Robinson Gardens Youth Group. 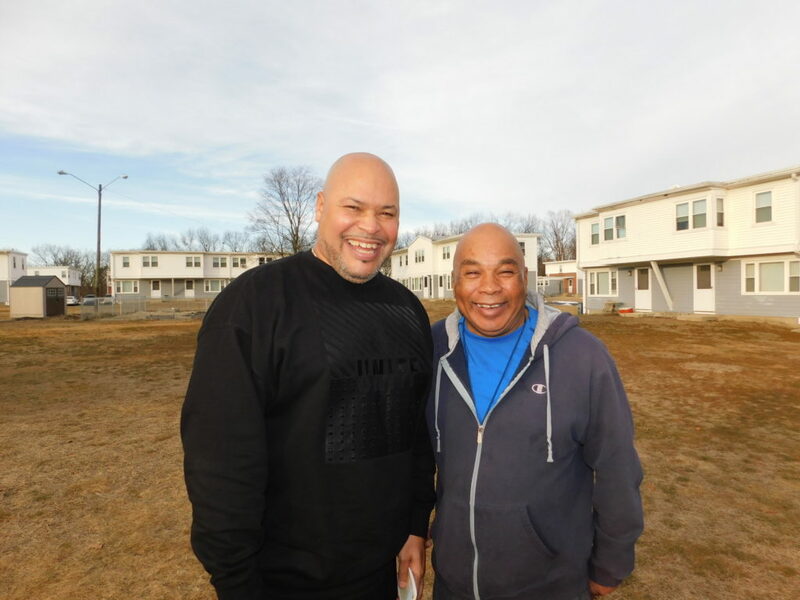 He went on to give specific advice to the teens who meet every weekday afternoon in the Community Room at Robinson Gardens. 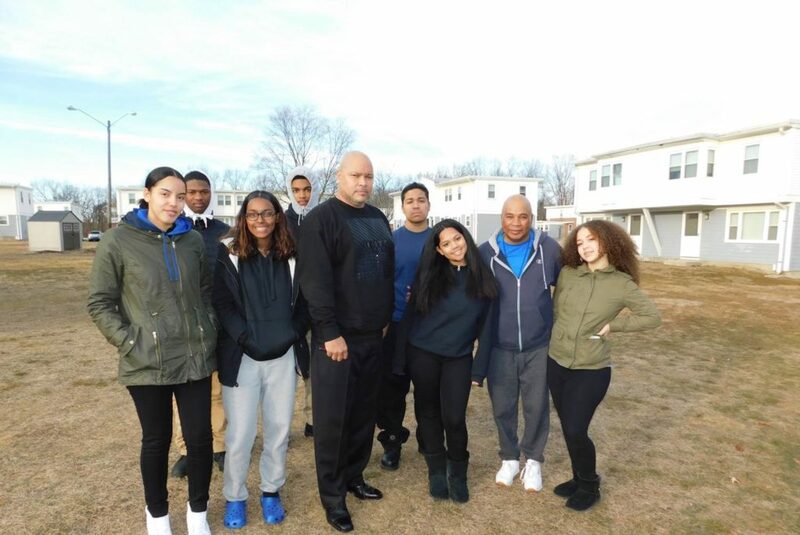 The visit was part of an ongoing series of speakers for the Youth Group, whose leader, Youth Engagement Coordinator Jimmie Mitchell, brings in professional people from the community to share their stories. Frequently, they involve people who rose up through luck, circumstance or, more likely, focus and hard work. Robinson Gardens Youth Group President Jaleiry Reveron appreciated Blake’s message. 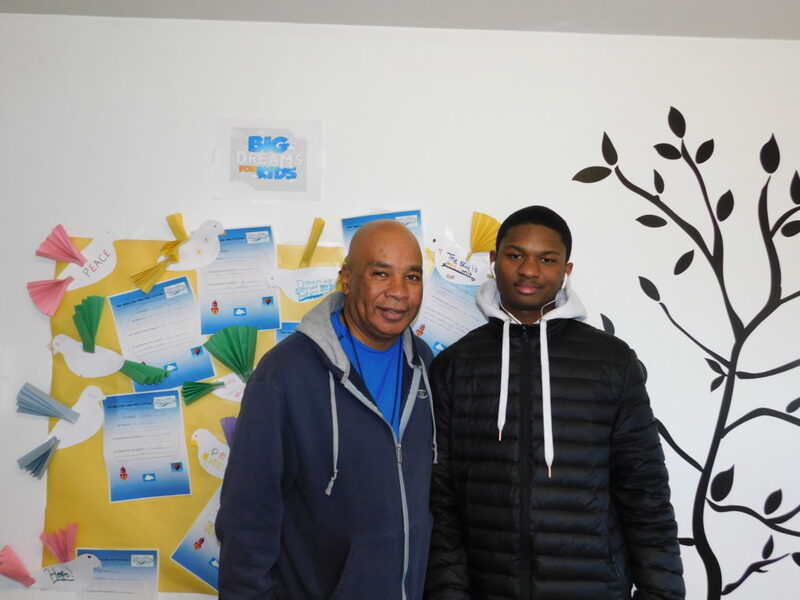 Springfield Housing Authority Youth Engagement Coordinator Jimmie Mitchell with Youth Group member Kashawn Lenoir. to keep them on track for success. At Robinson Gardens, Blake focused on the same things he does at Rebecca Johnson, his messages directed at a slightly older audience. SHA Executive Director Denise Jordan said speakers like Blake are always welcome to share their experiences with teens in public housing any time. “Mr. Blake is a person who grew up right here in Springfield, and has a positive message to share with our youth. You can’t beat that,” Jordan said. 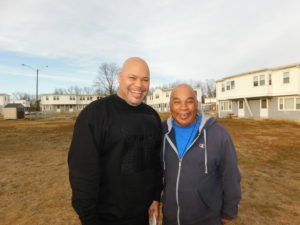 Guest speaker George ‘Spanky’ Blake with SHA Youth Engagement Coordintor Jimmie Mitchell. For the teens in the Youth Group, Blake’s message hit home. 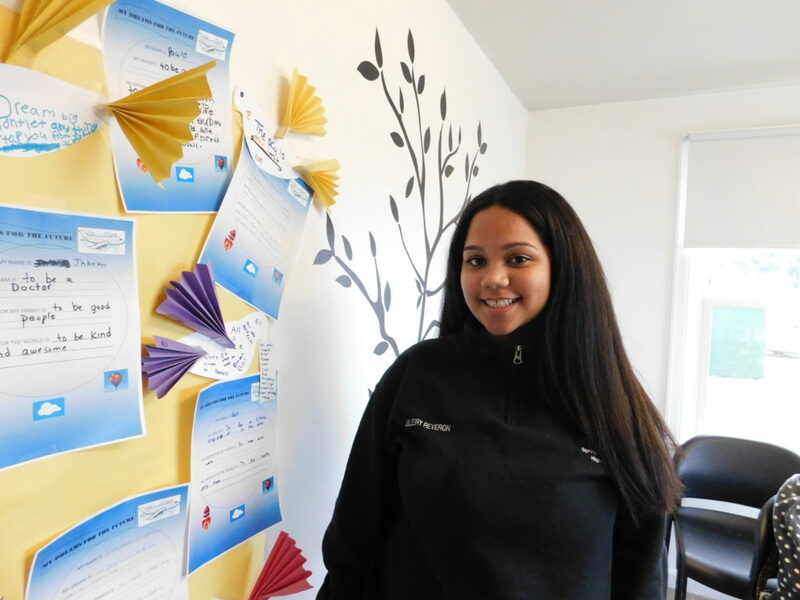 “He was really good,” said Jaleiry Reveron, who is 16 and president of the Youth Group. “The things he said, and the way he talked, he really made you want to listen. He was telling us things we do and don’t even know about it, but we do now. He changed my perspective on a lot of things,” she said. Kashawn Lenoir agreed, noting that Blake has a gift for speaking and for making young people rethink their actions. Mitchell continues to bring in speakers who having inspiring stories to tell, either about growing up or making it professionally in Springfield.